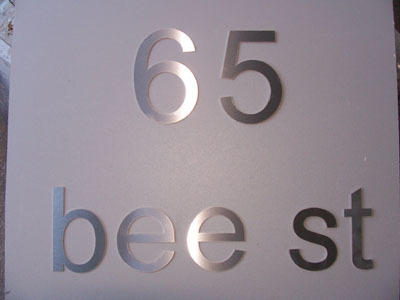 Stainless steel letterbox fascia plate - $299.00 : Letter Box King, Best value letter boxes and lettering! 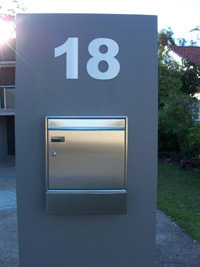 Stainless steel letterbox Fascia 700mm x 300mm with external weather hood. The weather hood can be changed into an internal bottom angle. 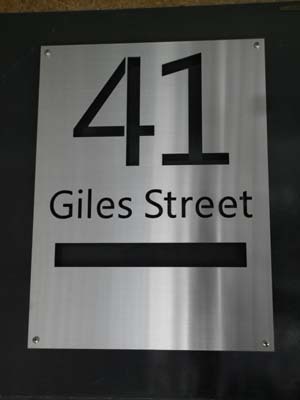 Manufactured from 2mm 316 marine grade brushed stainless steel. We can supply this plate with 4 fixing holes, without holes it has to be glue fixed. The weather angle is 240mm wide, can be changed if requested. 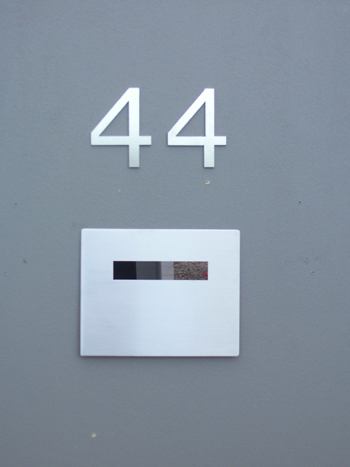 Our 300mm x 230mm lockable back-plate suits this plate.